The Thermarest NeoAir has had a lot of attention and awards since it came out, and for good reason. Simultaneously one of the lightest and most comfortable backpacking sleeping pads available, it’s been a huge hit. Essentially, the NeoAir Trekker comes in at a lower price and has a more durable, less “crinkly” fabric, whereas the original NeoAir is lighter and has the metallic insulating liner to make it warmer. 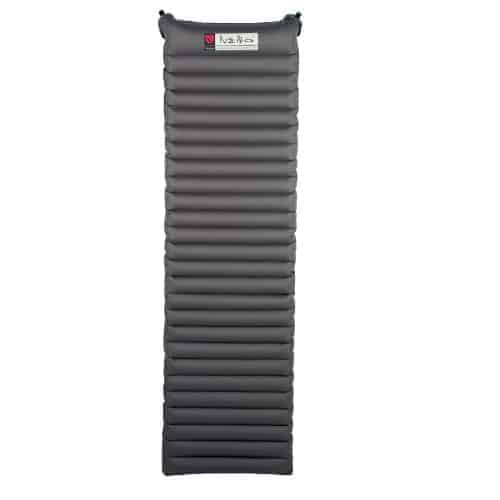 What makes both of these pads so comfortable, besides the obvious 2.5 inches of soft cushioning, is the simple change to baffles that run from side to side, instead of head to foot, like so many other sleeping pads. This new design makes the pad feel wider and more even, not like sleeping on a pool toy. But did you know, Nemo pads came up with the same idea at about the same time? Known for their inflatable tents, sleeping pads were a natural progression for this innovative company. For campers and backpackers, the Nemo Astro sports 2.5 inches of air cushioning, a durable outer fabric, and a raised, pillow-like section at the head for extra comfort. The Nemo Astro Insulated takes a more traditional approach to keeping you warm when compared to the NeoAir, using synthetic insulation inside the air chambers. The combo is like a portable mattress, a full 3.25 inches thick. “It turned our lumpy, rock-strewn trailhead campsite in Capitol Reef into a featherbed,” says one tester. And the price? It looks high, but consider this: If you were to buy a lightweight backpacking pad and a decadent car-camping mattress, you could easily spend more and not sleep as well. For the ultimate in base camping or car camping luxury, Nemo has a Pillowtop cover to throw on your Astro pad, adding an inch of cushy foam and a soft jersey-finish microfiber top to your pad for a combination that can’t be beat for comfort. You can even throw it on a NeoAir or similarly dimensioned pad (20″x 72″). 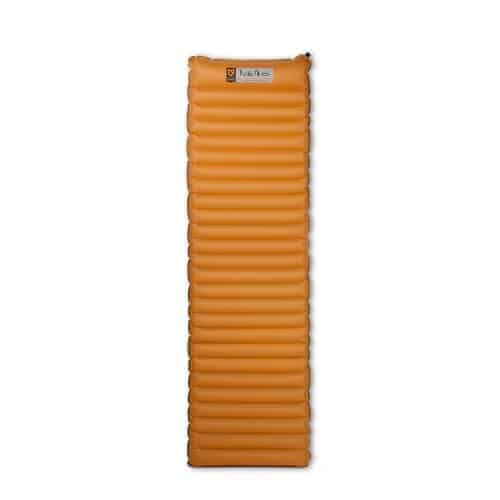 So if you’re looking to get a great night sleep in the backcountry, no matter how rough, rocky or cold the ground, check out one of these great new backpacking sleeping pads at Tahoe Mountain Sports.